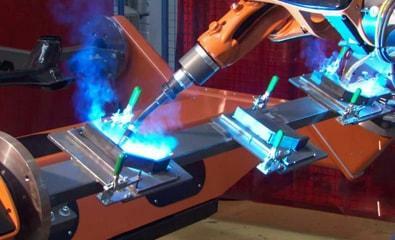 Industrial Automation is a broad term but covers a wide range of systems integration. We fully understand not only the importance of Cost, Quality, and Delivery. 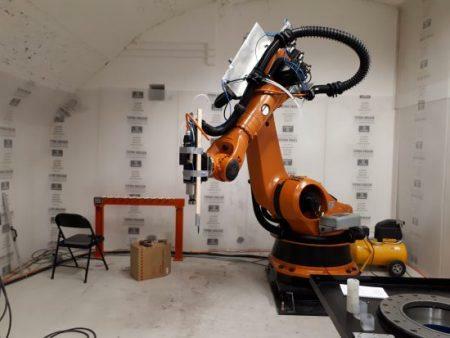 The Brief: The project is to design and build a control panel to integrate Kuka KRC4 KR120 Robot and Fronius welding equipment into a complete cell . 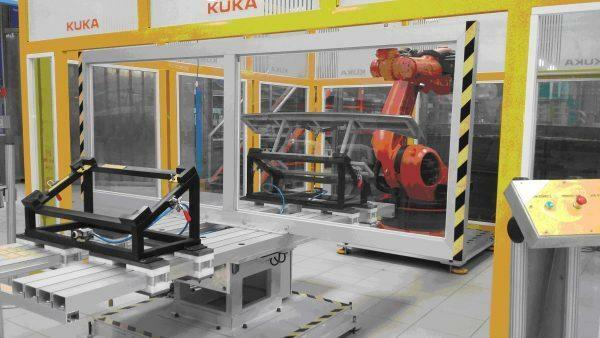 The Brief: The project consists of the integration of two Kuka KRC2 y Kuka KR100P, therefore one of the Industrial robot arm will be carrying out the robot material handling work and Robot automation welding tasks. The Brief: To design and commission a KR210 based robot cell with spindle and load/unload turntable for trimming plastic parts. First Industrial Automation project. 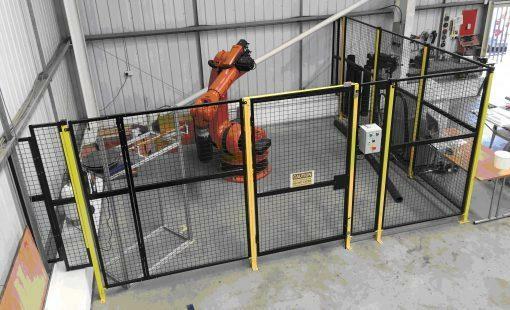 The Brief: To build a two robot demo cell for client demonstrations. 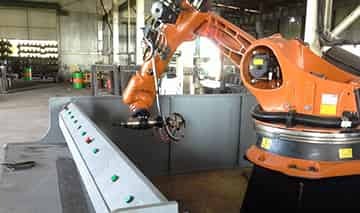 The Brief: Working on the design & commission an Industrial robot KR210 based robot cell to provide a development platform for EPL to carry out studies on winding composite. 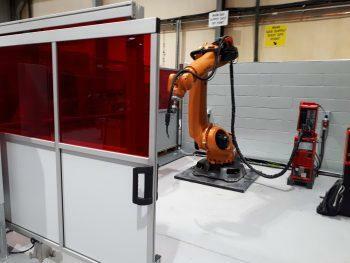 The Brief: Industrial automation project working directly for SCM Handling to commission and program the Industrial robot arm as part of the complete palletising cell for the client Livesey Brothers. 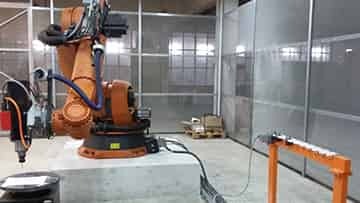 The Brief: The system integration involves the commissioning and design an Industrial Robot Arm Kuka KR210 and spindle to clamp various lengths of steel plate as selected by the operating during loading. 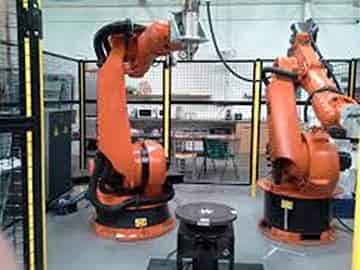 The Brief: Robot mechanical and electrical installation of the Industrial robot Arm, turntable, dust extraction equipment, spindle, cooling pumps, tool rack and the guarding.